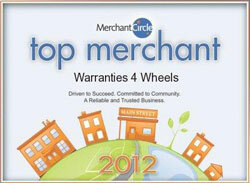 We are auto warranty brokers, we work for you! Let us do the shopping for the best coverage at the lowest rate! Due to the heavy volume of quote request we receive daily, we can not respond to partially completed requests. We are here to serve you as quickly and effectively as possible. We do not share or sell any information about our customers to any company or mailing list service. Please take the time to fill out the form below completely, this will allow our staff to process your quote request quickly and in most cases send an email response the same day. All quotes are sent complete with attached scanned contracts for your approval. A representative of Warranties 4 Wheels will contact you as a courtesy, to follow up on any questions you may have, and to help incept your warranty coverage. Exclusionary Agreements - This is the most comprehensive service agreement that you can purchase for your vehicle. Since there are so many parts on a car, they can only list what is excluded. All parts on the vehicle not listed in the exclusions, are covered. Listed Component Agreements - Most of the Auto Warranties for New & Used vehicles found at many dealerships, Credit Union or on Internet Websites are called "Listed Component" agreements. They only "List What is Covered". All of the other parts on the vehicle Not Listed in the Agreement are Excluded. Power Train Coverage - All internally lubricated parts of the Engine, Transmission, Drive Axle Assembly (front or rear), and TransAxle Assembly are covered. Seals and Gaskets and the 4x4 Transfer Case can be covered at an additional rate. Specialty Programs - Once the Factory Warranty has elapsed, our Extended Service Program will cover the complete vehicle and Conversion Unit out to its selected time frame or mileage, as outlined in the agreement. Underwritten by one of our primary carriers, our service program will cover the Alt Fuel Conversion Units "ONLY" while the vehicle is still under the original Factory Warranty Period (the first 3 years or 36,000 miles of your odometer reading). If you found us through another web site, was it? MOTORCYCLES and ATV's: List your CC's and/or special information here. R.V. 's: List front or rear diesel, slide and/or special information here.